When it comes to family business shareholders in dispute, what is an unfair prejudice petition and what are the challenges. Elizabeth Sainsbury from Farrer & Co explains more. The Companies Act 2006 permits any shareholder to issue a claim for unfairly prejudicial conduct by the controlling persons of a company. The petitioner must establish that the conduct of a company’s affairs is both unfair and prejudicial to their interests as a shareholder. The court takes an objective approach; it is not necessary to show the persons controlling the company acted deliberately in bad faith. The court will consider the issues in the context of a commercial relationship, but it is permitted to take into account all of the relevant facts in the case, which might include the unique dynamics at play within a family business. The court is ordinarily loathing to interfere in matters of commercial management, unless such mismanagement is sufficiently serious and significant so as to cause loss to the company (and the petitioner). systemic and deliberate exclusion of a minority shareholder from crucial strategic decisions. 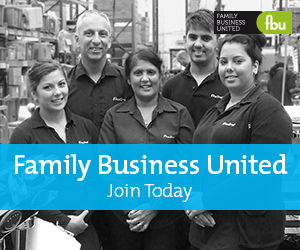 What issues can this cause in family businesses? disagreements over strategy between the older and younger generation of directors and shareholders. Unresolved issues can lead to an irrevocable breakdown in trust and confidence, and if disputes arise they often drain company finances and staff morale, as well as causing an unwanted distraction on management time. The court has a wide discretion to make any order that it sees fit, for example regulating the conduct of the company’s affairs or ordering a clean break (usually through the purchase of the petitioner’s shares). But this can cause significant issues where a business has not anticipated a buy-out, while fostering resentment amongst family members who remain working in the business. As such, handing over control to the court should be a last resort. Disputes can be anticipated and avoided to some extent by tailoring a company’s articles of association or a shareholders’ agreement, prescribing for example, how family members are appointed as directors, what say non-management shareholders have, and providing a mechanism for valuing shareholdings and resolving disputes. Thought should also be given to drawing up a family constitution (for more detail see below). Employing experienced and trusted non-family intermediaries (lawyers, accountants and family business practitioners) can assist in providing impartial advice, planning for the future, and mediating between family members in the event of a dispute.